Many families choose to spread the cost of care for a loved one across several members of the family to help share the financial responsibility. Another viable option to consider is converting a non-liquid asset, such as a home, through a reverse mortgage program. A home equity line of credit, or some other form of real estate conversion, could also be considered as an alternative. Life insurance policies offer another avenue to convert non-liquid assets through a life settlement or death benefit loan program. 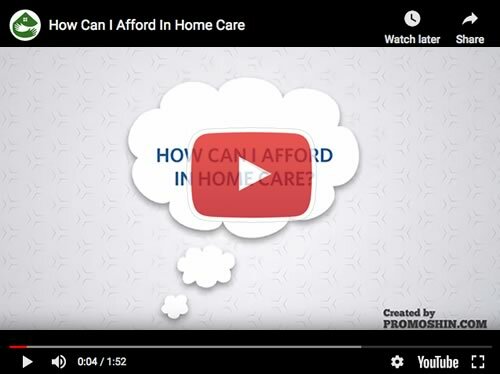 In some cases, using a combination of Social Security benefits, private pensions, savings, home equity, and life insurance may be the best alternative to provide in-home care. Ultimately, planning a consultation with an expert is your best option. Your local Client Care Liaison is well-informed on financial alternatives, conditioned to the sensitivity of health care costs, and available to help 24/7. You can contact your Client Care Liaison directly, or submit a question on our Expert Advice page.